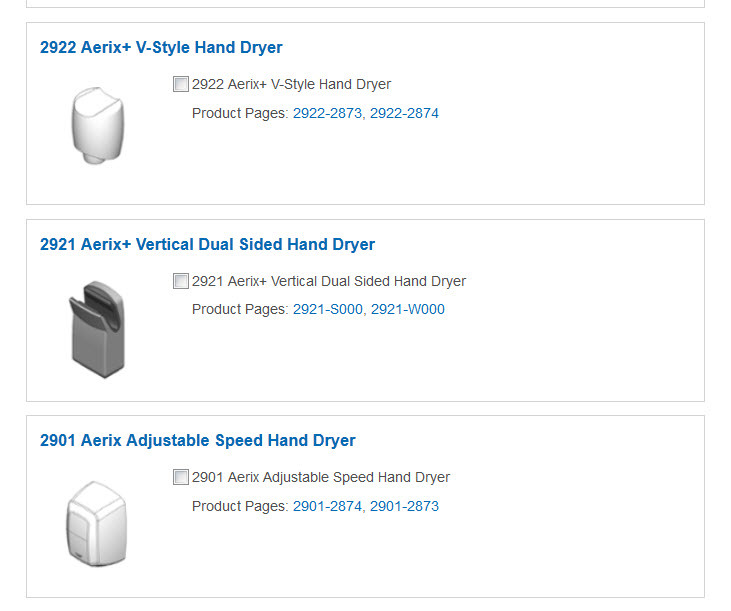 Download the Bradley Aerix 2901, 2921 or 2922 Hand Dryers from the Bradley Revit Family Library. Review the complete Bradley Hand Dryer Product Pages and download the 3-Part Specifications. These 3 Revit Aerix hand dryers have been added to the existing Bradley 200 Series Hand Dryer product line.